A tour of Recife and Olinda, similar yet contrasting cities - the first has skyscrapers and a metropolitan character with an evocative city centre abounding in culture, while the second is greener with a more tranquil atmosphere, imposing buildings and typical colonial churches declared a World Heritage Site. We start our excursion with a sightseeing tour of Recife from Republic Square, located on the furthest point of the Santo Antonio island, where we can photograph the city’s most beautiful buildings. We wander around the stalls of the House of Culture, a former prison now market where we can do some shopping in our free time. We then move on to Olinda, the old capital declared a World Heritage Site also thanks to its imposing buildings and typical colonial churches. We reach the Alto da Sé viewpoint, from where we can enjoy an amazing view of Recife and Olinda, and admire the Church of Sé. In its courtyard, Pernambuco governor Duarte Coelho is said to have pronounced the phrase "Oh, linda situação para construir uma vila” (an enchanting place to build a city). We continue to the Monastery of Sao Bento, famous for its extraordinary wooden structures where we will stop for a while. 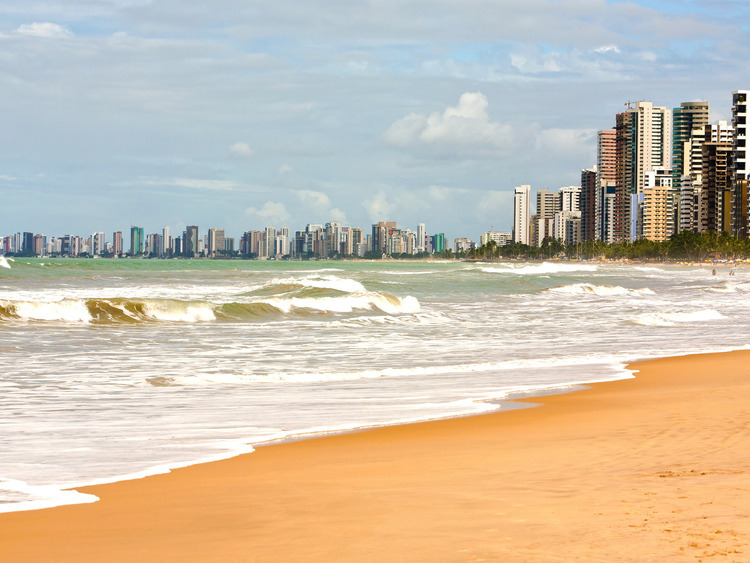 We return to Recife and see Boa Viagems, an elegant residential neighbourhood with many hotels, restaurants and modern buildings worth a few pictures. The last stretch to the village of Olinda is on minivans. * There is limited availability of English-language guides; if these are not available the local guide's commentary will be translated by a local interpreter.